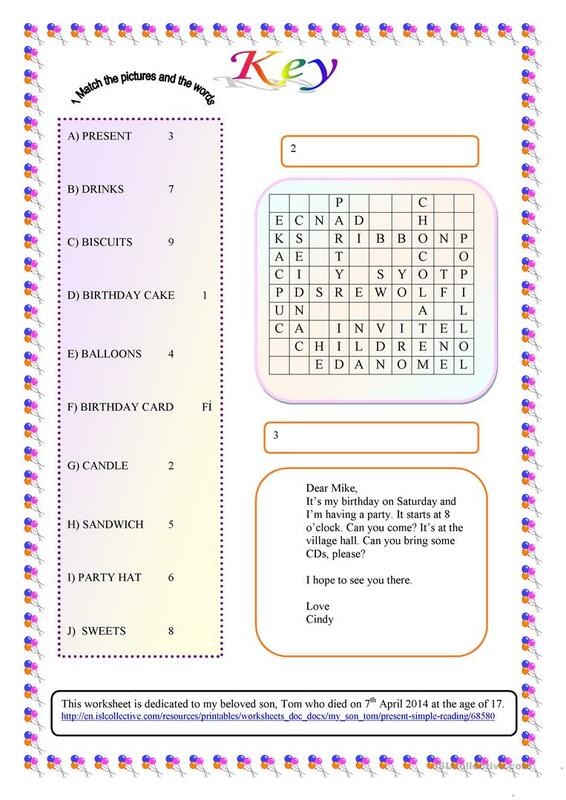 Students have to match the pictures and the words, find some words in the wordsearch and correct the mistakes in an e-mail. This downloadable teaching material is intended for high school students and elementary school students at Elementary (A1) and Pre-intermediate (A2) level. It is useful for working on your groups' Reading and Writing skills. 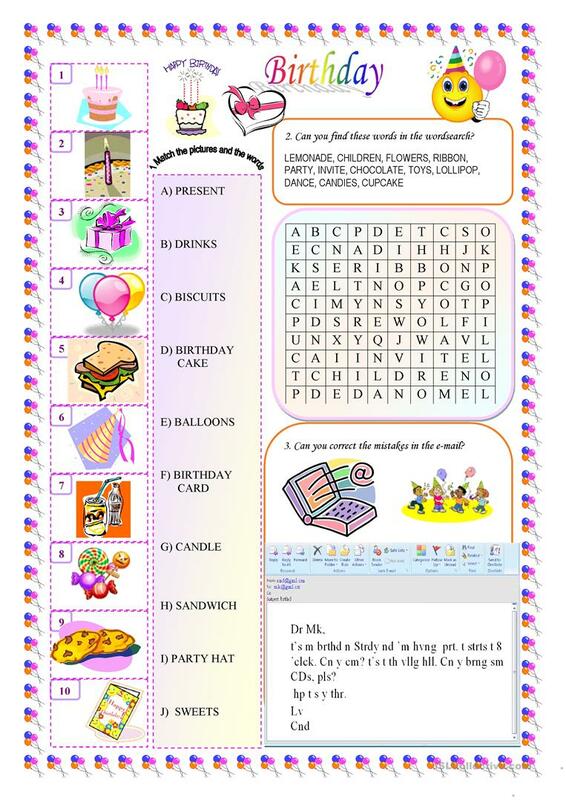 It focuses on the vocabulary topic of Birthdays. The answer key is provided, too.